I have discovered an amazing App that I now use everyday on my iPad. 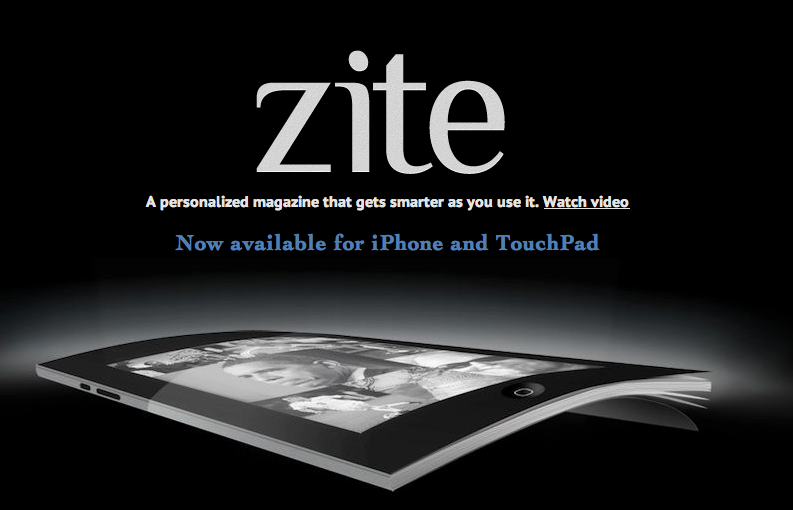 It is called Zite. It is a free download from the App Store which is great. What it does is allow you to customize your own personal magazine. For example, there are sections such as Arts, Music, Politics, Mac, Personal Finance etc. You simply chose the Sections that interest you and Zite will then pull content from the Web to match the section. What I love about the App is that it lets me find articles that I probably would never come across. Cool! I’ve read about this in the New Yorker and figured I should look into it, but since The New Yorker is my ideal magazine, serving me up all the stories I want and a whole bunch of things I never anticipated being interested in but that I somehow find fascinating, I’ve pretty much achieved magazine satisfaction! Great post!